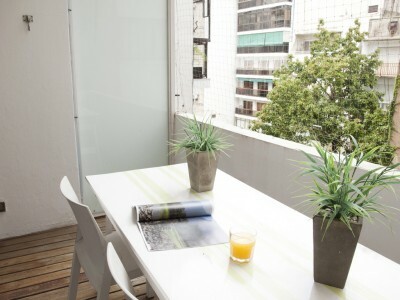 Contemporary first class LOFT newly restored and stylishly decorated, located in Recoleta the most prestigious and residential area of Buenos Aires. 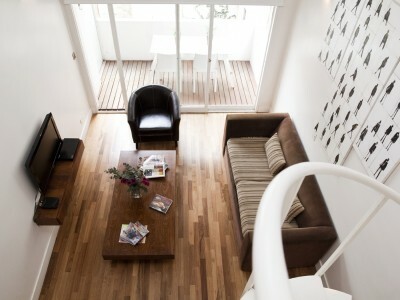 This cutting edge wooden floors loft it is on the fifth floor at the rear of the building. It has a beautiful balcony with huge windows that offers plenty of light to the whole property. - LIVING/DINING ROOM: Excellent and luminous area skillfully decorated with a sofa bed, individual armchairs, and a coffee table. Modern dining area that features a wooden table with 4 chairs. 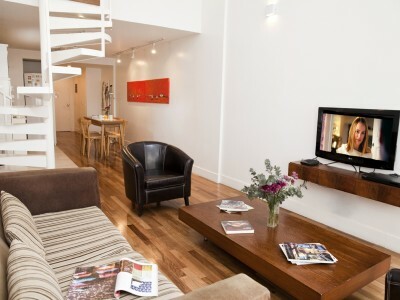 Top amenities include 32” LCD TV, Wi-Fi internet access, DVD player, and air-conditioning split hot/cold. 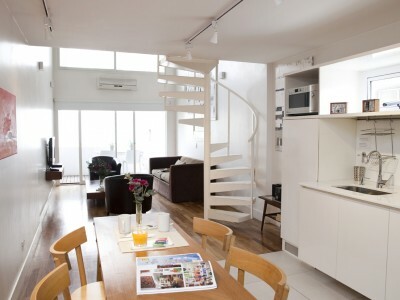 - BALCONY with direct access from the living room. It is decorated with a beautiful wooden table with two chairs ideal to enjoy our sunny weather all the year-round. - TOILETTE: modern and luminous guest toilette with a shower. 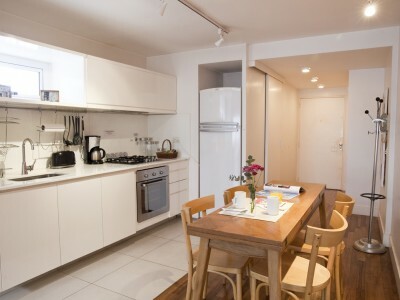 - KITHCHEN: Full equipped gallery style kitchen with refrigerator and freezer, microwave, electric coffee maker, toaster, and complete tableware for six people. You reach this floor by going up the stairs. 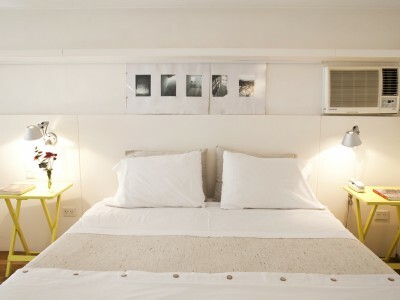 - BEDROOM: nice and luminous room decorated with wooden floors, a king size bed (1.80 x 2.00 mts), and a spacious closet. 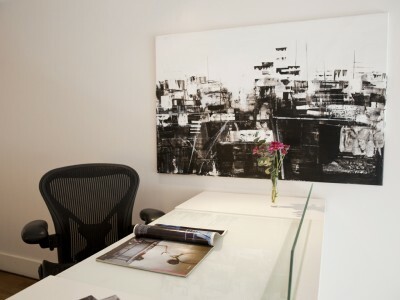 Amenities include a business desk where you can work with your laptop, Wi-Fi internet access, air-conditioning, and a safe deposit box. 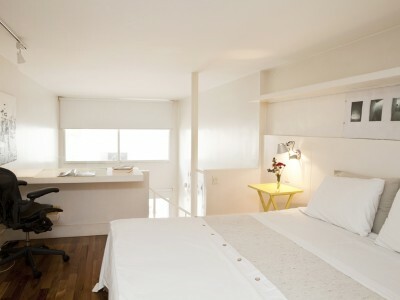 - BATHROOM: deluxe bathroom with Jacuzzi, shower, and a hair dryer on hand. - LAUNDRY ROOM: washer/dryer machine. This is a Non-Smoking apartment. Smokers are only allowed to smoke outside on the balcony. 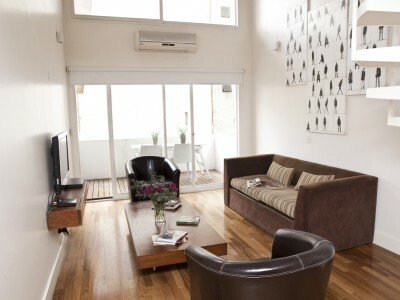 If you are visiting Buenos Aires with family or friends we have another loft apartment (code # 144) located on the same floor.